Arguably, Please is the best song off Pop. The lyrics refer refer to the The Troubles in Northern Ireland (U2 later recorded a song called, The Troubles). 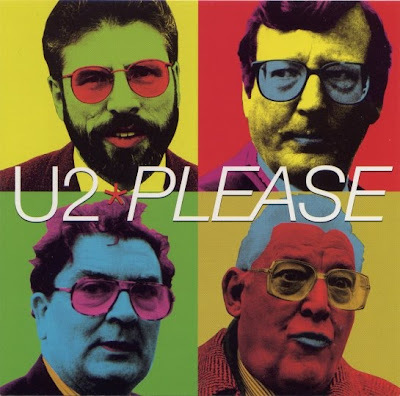 The single cover for this song features the pictures of four Northern Irish politicians — Gerry Adams, David Trimble, Ian Paisley, and John Hume in an effort to draw attention to the issues. Check out the lyrics to "If God Will Send His Angels" which was a popular song from Pop.